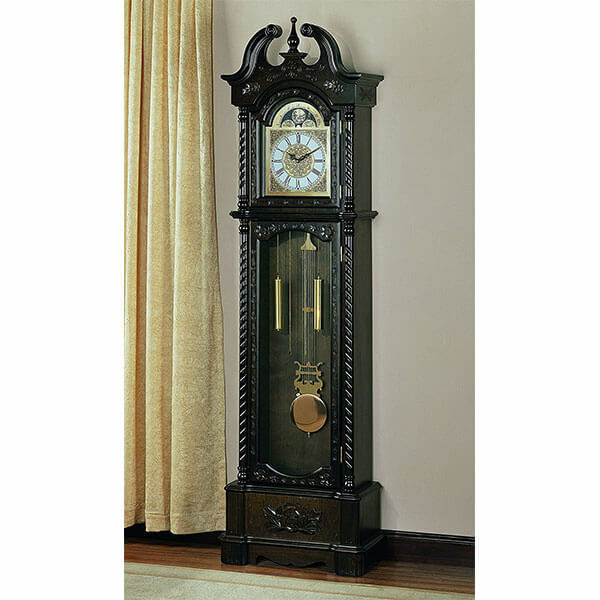 Made out of hardwood and veneers, the Coaster Home Furnishings Traditional Grandfather Clock is a clock that features a dark finish and intricate detailing all across its face. Traditionally styled, it has ornate detailing, a lower apron and beautiful indicators to go with its striking pendulums and weights. 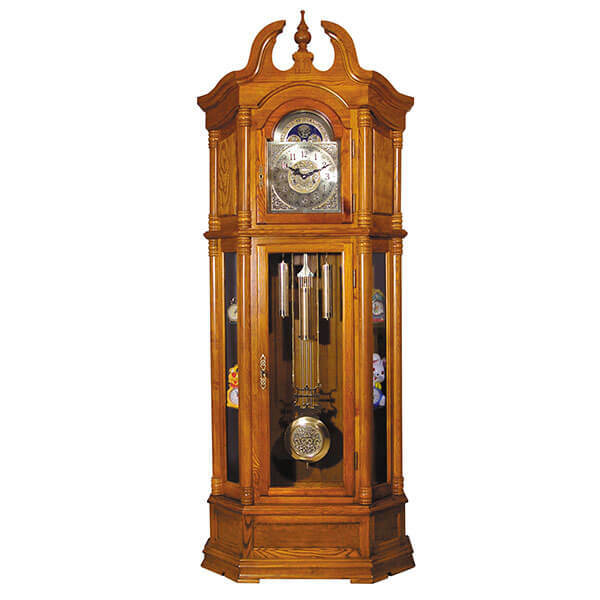 The Coaster Home Furnishings Traditional Grandfather Clock is made out of a mixture of hardwood and veneers that have been given a medium brown, warm and welcoming finish. Ideal for any area, this grandfather clock is a simplistic approach to classic style grandfather clocks of the same nature. 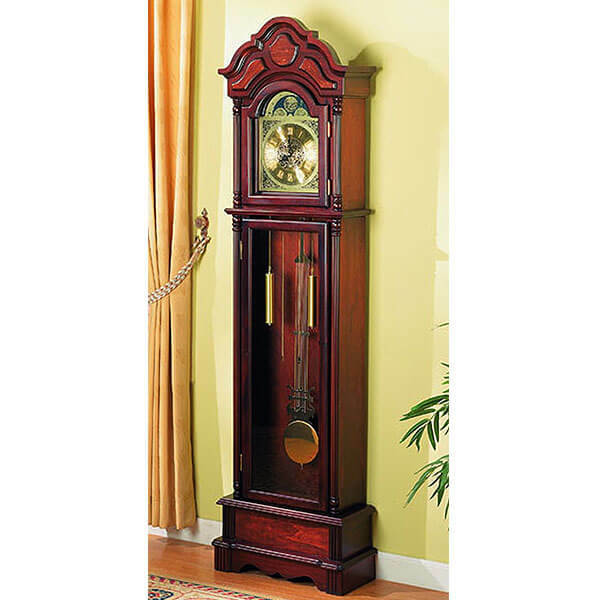 The ACME Rissa Grandfather Clock is a large and prominent grandfather clock that can easily become a centerpiece in any room in which it is placed. This clock features a gold and silver toned clock face with a tall sash door and a smaller one on the front of the face of the clock. 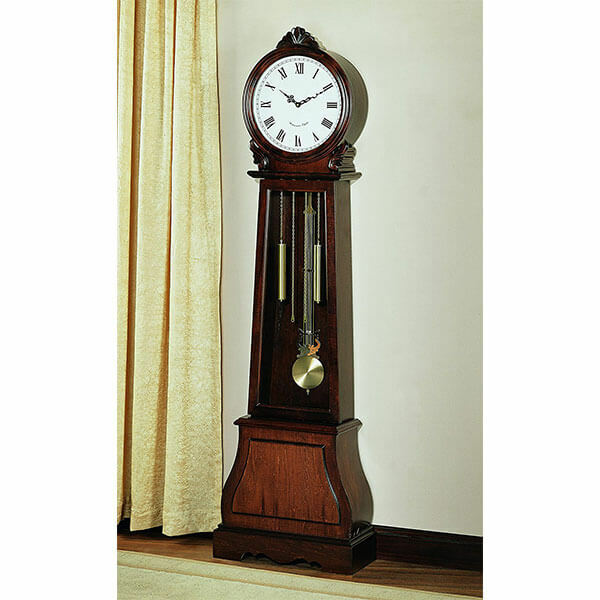 Made out of hardwood and veneers, the Coaster Home Furnishings Traditional Grandfather Clock offers your space the beauty and warmth of a medium brown finish. This grandfather clock features rounded shapes that take a more simplistic approach on classically styled grand grandfather clocks. The Howard Miller Princeton Grandfather Clock is a simplistic grandfather clock that gets straight to the point. Inside of its rich wooden body, there is plain glass throughout. It has a quartz, triple chime harmonic movement that plays one of three different tunes. Volume control is available. 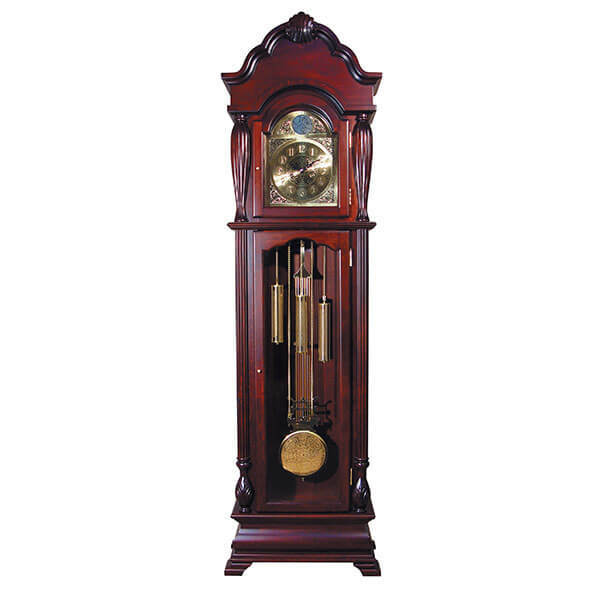 The ACME Aaron Grandfather Clock is a traditional looking grandfather clock that boasts a pendulum with classic designs. 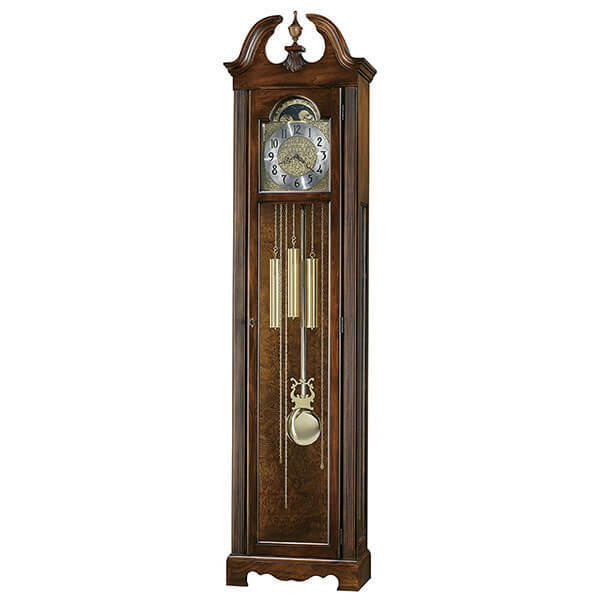 Its analog clock face features unique indicators, and all around the ACME Aaron Grandfather Clock you will find unique and decorative carvings that turn this clock into a focal point.